Ballistol will not negatively affect plastic materials or paints which are chemically resistant to oils. Specifically, Ballistol will not adversely affect PVC, high pressure Polyethylenes, mipolam, teflon-derivatives or hostaflon-derivatives. It can be safely applied to the gel coat of fiberglass boats. Caution is recommended with foamed polymers like polyester, foamed rubber, or caulking foam in the areas of direct contact. As a rule of thumb, it may be safely assumed that all plastic materials, polymers, paints, lacquers, or varnishes that are chemically neutral toward technical oils will not be adversely affect by Ballistol either. The same holds true of rubber objects. All those types of rubber, which are chemically resistant against mineral oils, will also remain unaffected by Ballistol. Rubbers that are not resistant against mineral oils may become brittle if exposed to Ballistol for an extended period of time and/or under higher than ambient temperatures. 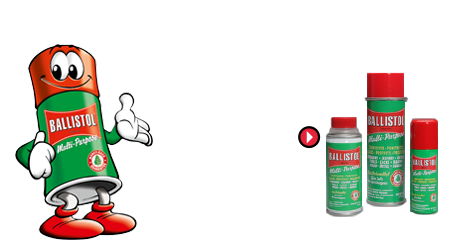 If applied thinly Ballistol is suitable for maintaining and cleaning any sort of rubber without damage. Varnishes are synthetic substances which transform into polymers when drying. Their characteristics can vary widely depending on their chemical composition. All those varnishes and paints, which have a chemical structure similar to the one of oil resistant polymers, are chemically resistant to Ballistol. A thin film of Ballistol can be used to polish painted surfaces. It will restore their original shine and additionally will make them water-repellent. However, care should be taken not to apply too much Ballistol, since this would not only be a waste but might also make the paint dull. When washing your car, put a few drops of Ballistol into the last bucket of water, rinse and dry with a clean cotton cloth. This will definitely brighten up your car’s paint.  Ballistol has been used with great success on old gramophone records. If applied thinly it will eliminate static noise and enhance the sound quality. DO NOT USE ON COMPACT DISKS! Ballistol is the only lubricant I’ve used for 10 years on my guns. My cowboy action cohorts and I always keep a spray can around at a match because sometimes the black powder fouling ties up a gun. A couple of spritz of Ballistol and a wipe down is all it takes to get them back in the match. The amount of lubricants, solvents and protective oils you can accumulate to take care of your firearms can be endless. Consumers have a way of culling from the market place companies who make useless stuff. Ballistol has been around for over 100 years because It Works! Some folks say it smells funky, I say it smells like you know what you’re doing. Being able to spray down my rifle at the range after shooting over 500 rounds of corrosive ammo, and leaving it for 2 days to find it still OK was AWESOME!!! Not only that, but it was super easy to clean! I am seriously a firm believer in your product now! Goodbye, Breakfree CLP! If I had to pick one lubricant to do it all Ballistol would be my choice. It works great on metal and wood and is superb on anything that fires corrosive ammo. I have used it for years with excellent results. Highly recommended. This is truly an amazing multi-purpose oil; a person could write a book on its 1,001 uses. If you want to protect 100% of your firearms, this is the product that will do it.